The Arbuckle Family Blog: Women Acting Like "High School" Girls. Do We Ever Grow Up? Women Acting Like "High School" Girls. Do We Ever Grow Up? I loved the movie Clueless. Who were you most like in high school? Cher (Alicia Silverstone) or Tai (Brittany Murphy). Have you ever met someone and know that you want to be friends with them? There could be several reasons why you think you could be friends. It could be that you have a lot in common, it could be because of "who" they know, they may be in the "cool" group, or maybe they seem like so much fun. This happened at the church we just left. There was this awesome girl, she was so much fun and we had everything in common. We eventually became great friends and she blessed my life greatly! 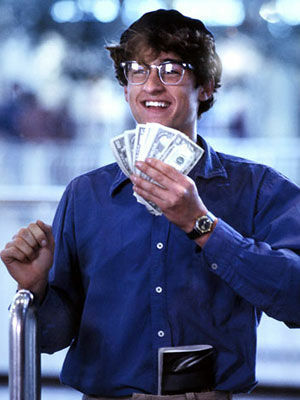 Ronald Miller (Patrick Dempsey) in Can't Buy Me Love (one of my favorite movies of all time). We so badly want to be accepted we would just about pay for it. 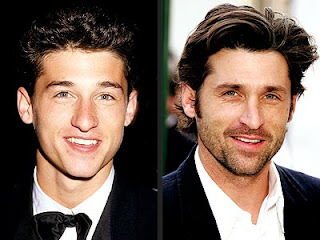 By the way.. WOW did Patrick Dempsey get better with age. I recently went to dinner with some mutual friends. There was a girl there who I have met a couple times. We seem to have a lot in common. I feel like we could be great friends, but it was a little awkward. We just didn't seem to click in the way I pictured or wanted to in my head. Out of nowhere a sense of self consciousness welled up in me. I remember that feeling so well from High School. Although I knew a lot of people and I was VERY SOCIAL. I was just on the outskirts of the "popular" crowd. Questions I used to ask my self from High School came rushing back. What is wrong with me? Why didn't she like me? I then ask myself: WHY DO I CARE??? (A questions I needed to ask myself in High School). The answer is usually something stupid and self centered. I am an adult for goodness sake. Why am I acting like I'm in high school again? Sadly, I think many women struggle with the same feelings. It brought me back to my favorite verse. Sometimes we focus so much on other people, pleasing them and fearing them. Our hearts get divided. Let us focus on the Lord and our relationship or "friendship" with him. In the end, that is the only friendship that will truly matter. Do you struggle with the same thing (wanting to be liked and accepted)? Does your heart get divided? We are in a new town and in the middle of making friends. What do you do to make new friends? Just for fun.. I mentioned two of my favorite "teeny bopper" movies. What is your favorite "High School" movie? Please leave a comment below. I'd love to hear.